At INFINITI of Birmingham, we offer competitive financing rates and terms on our great selection of new and used trucks, cars, and SUVs. Our finance experts are here to guide you through the financing process and help you get into your new vehicle. 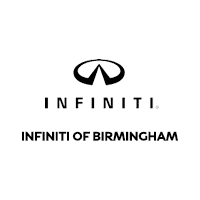 Contact INFINITI of Birmingham’s finance team today or if you’re ready to start the financing process, you can fill out our secure finance application online. Shop our inventory to find your perfect vehicle based on monthly payments that are right for you. Once you’ve made your selection, start your deal online and save time in store. Input your trade-in information directly into our tool to include it in in your personalized deal. Trading in your current vehicle could significantly lower your monthly payment. Take the first step toward owning a new car, and start your deal online. Our accurate, convenient quoting tool gives you the flexibility to shop how and when you want.